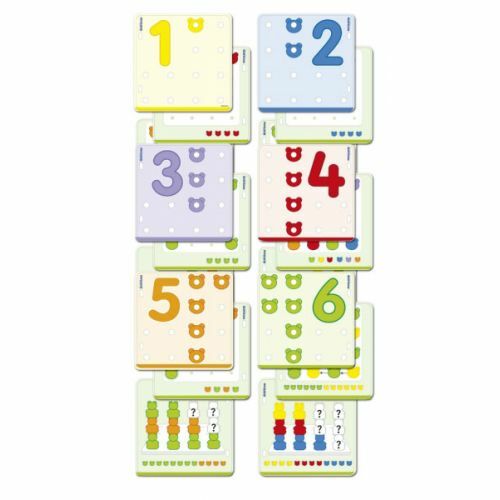 An excellent game designed to boost attention, concentration, and eye-hand coordination as well as introducing children to basic math concepts. The bears are made in 6 colors. It includes 18 activity plastic cards. 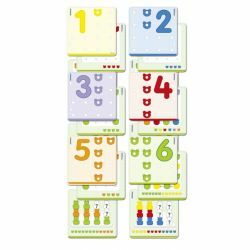 These activities help children learn their numbers and develop sorting, sequencing and motor skills. Vertical Sequencing, Spatial Orientation Exercise, Logic and Number-Spelling Relationship.